It's been almost two years since we moved to Vancouver Island, and we've felt at home since we got here! We've met so many great people, and experienced so many new and wonderful places. One of our favourite things to do is to find out about and explore a new-to-us place that is a long time love of our couples. 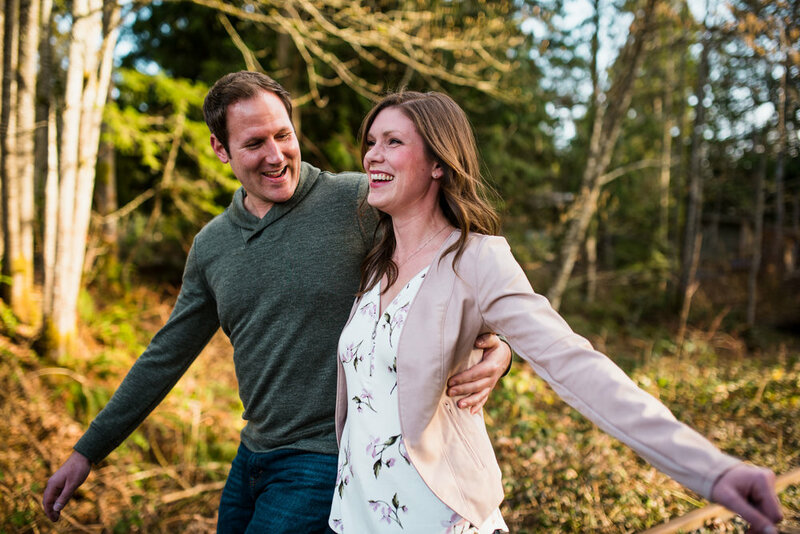 We've heard so many great things about Shawnigan Lake and it's always been on our radar to visit, but it was even better to head there to do engagement photos for Jacqui and Sean, who have Shawnigan Lake summers near and dear to their hearts. They brought us to Shawnigan Wharf Park near their parents' house to walk the decommissioned train track trail, and watch sunset over the lake. We had a great time photographing as these two romped around the park, danced on the dock and then donned their Packers jerseys and cheese-heads for some laughs. 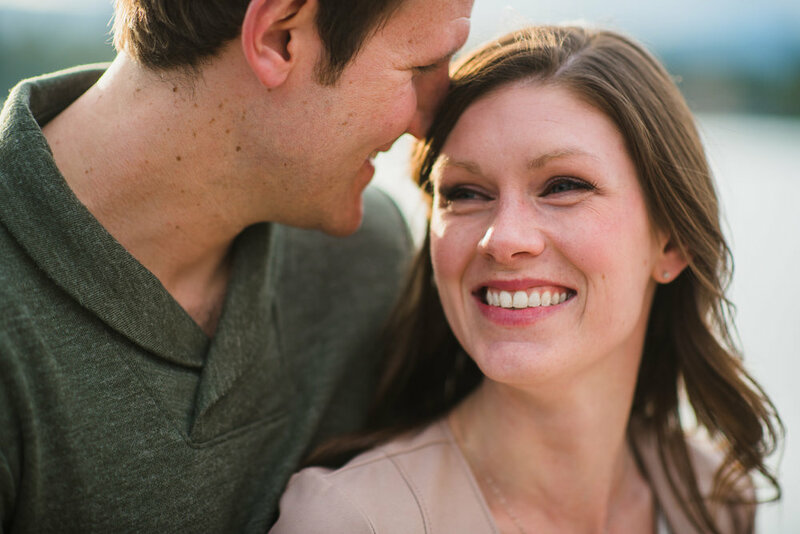 We really caught a glimpse of Jacqui and Sean's dynamic, what makes them such a great couple, and so fun to be around. We can't wait for their Bear Mountain wedding!